The good news is whether you live in Darwin, are planning to move there or you are backpacking around Australia there is work available in the restaurant industry as chefs and waiters. 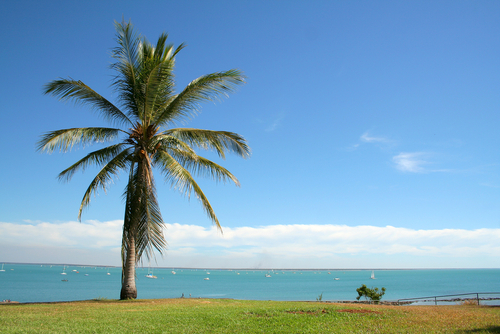 There are plenty of hospitality jobs in Darwin! From heading to the Darwin restaurant industry because you have a passion for food, to wanting to learn more studying to be a chef in Darwin is a step in the right direction. The first thing you need to know is, in Australia there isn’t any set concept of *Australian food*, thanks to immigration and multiculturalism just about any and all food cultures are catered for – from Asian to Greek, Lebanese to Italian. Australians love their food, they also love trying new food and different tastes so if you have a flare for cooking, you’ll fit right into the hospitality industry in Darwin. There are over 75,000 chefs currently working in the hospitality industry right around Australia, all working in different settings – function centres, hotels, cafes, restaurants and if you are happy to put in the long hours working as a chef in Darwin is a rewarding career. Apart from a love of all things food you need to be able to multi-task, work long hours and be able to work under pressure. The best way to start your career as a chef in Darwin is to take on an apprenticeship and studying while you are working. There are a range of courses available at the local TAFE in Darwin, or you may find some private schools or colleges offering training opportunities. The hospitality industry in Darwin is a fast growing industry and being trained as a chef is an excellent career move, if you move on to another state or travel overseas these qualifications will help you gain work in the hospitality industry anywhere. For restaurant and café owners finding chefs in Darwin with the right skills is difficult, so if you have the skills required finding work will be easy. Working as a chef in the hospitality industry is pretty much guaranteed to get you work anywhere in the world – after all wherever there are people, there will be a need for food. Darwin, as with all Australian capital cities is a tourist destination and finding work outside of the broader hospitality arena is extremely hard. Whether you are a fully qualified chef, are currently completing your apprenticeship, or you have no skills at all working as a chef in Darwin will provide you with an unlimited opportunity to learn your craft, add to your skill set and make a very good living, all that the same time. Advice to help you get that job! For those of you wanting to work as – or become a waiter in Darwin here is some advice to help you win that job! Being a waiter or waitress can be a high pressure job with a fast pace, you will need to be able to multi-task, to juggle different priorities all while NOT dropping the ball. If you see a restaurant you like the look of – even if they aren’t hiring, stop and introduce yourself, it’s a good way to make a great first impression AND not all hospitality jobs are advertised. Buy some good black pants or a skirt, a black shirt or blouse and tie. When choosing shoes look for a comfortable show with a good grip that are closed in.